Play with the vue-typer, a component that simulates a user typing, selecting, and erasing text. 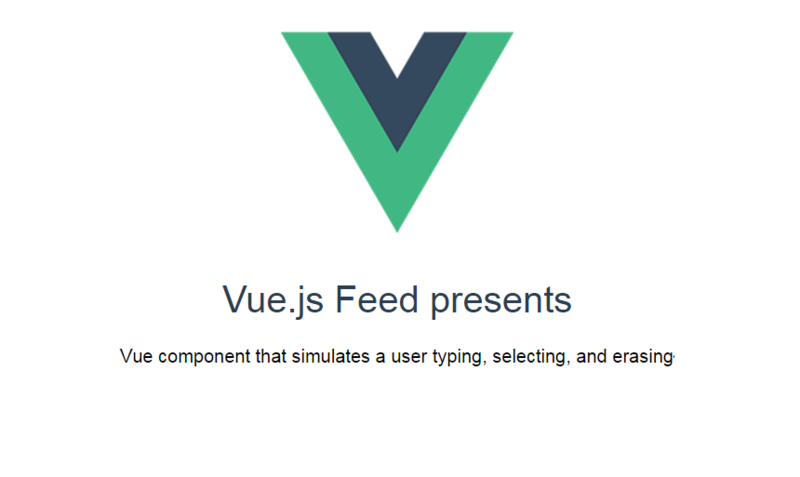 Use this Vue component in your project to simulate a user typing, selecting, and erasing text. 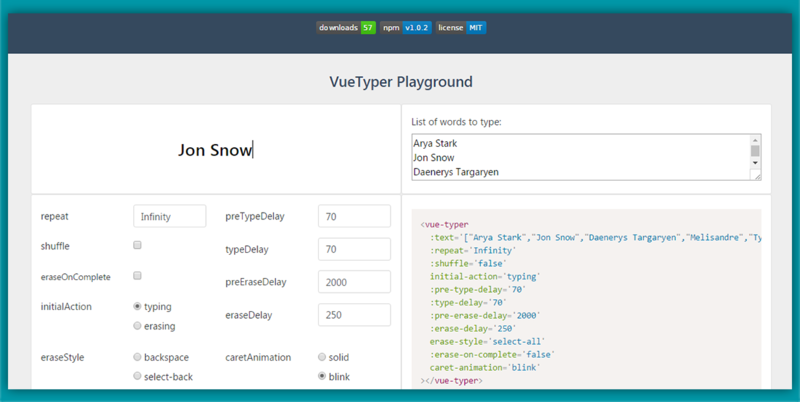 VueTyper is also stylable with CSS! You can bind your props or put them directly on your template. For detailed explanations about props, check here. Check it out on GitHub and play around with this interactive Demo.